Advertise your company's name on a huge platform using the Truck Stress Reliever. Winner of the PPAI award, You can customize your company's logo imprinted on this grey and white colored stress reliever and be sure of promoting your brand on a large scale . 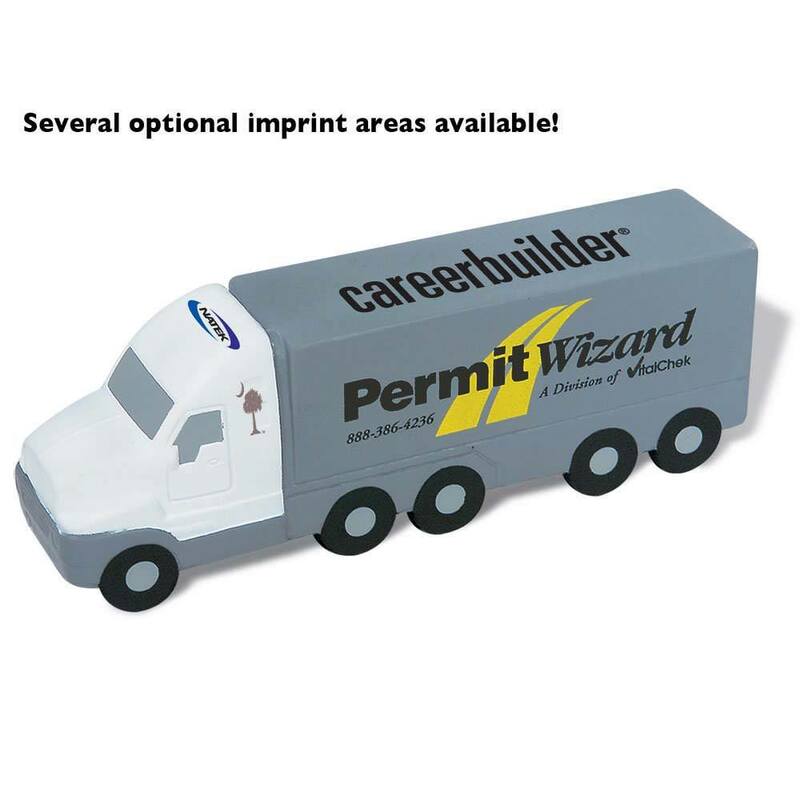 Advertise your company's name on a huge platform using the Truck Stress Reliever. Winner of the PPAI award, You can customize your company's logo imprinted on this grey and white colored stress reliever and be sure of promoting your brand on a large scale .It is the ultimate promotional product for moving companies, truck and freight companies. This stress reliever can be given out as a good and useful souvenir.